Beautiful natural pale olive green Grossular Garnet crystals from Mexico. Grossular Garnet is known as a prosperity stone. Grossular Garnet is a useful stone to have during challenges and lawsuits as it helps to communicate in a loving and understanding way. 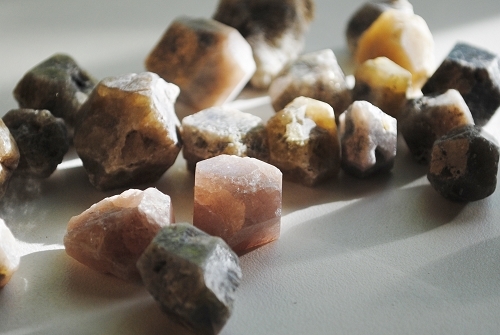 Grossular Garnet teaches relaxation and going with the flow. Grossular Garnet fosters cooperative effort and the ideals of being of service. Grossular Garnet is a stone of regeneration. Emotionally, Grossular Garnet helps one to perceive abundance in oneâ€™s life. 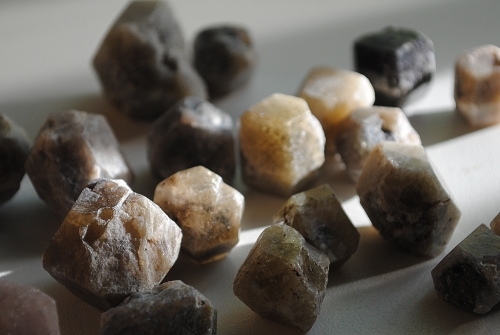 Physically, Grossular Garnet supports recovery from illness or trauma. In healing, Grossular Garnet has been said to enhance fertility and aid with the assimilation of Vitamin A. Grossular Garnet is excellent for arthritis and rheumatism. Grossular Garnet fortifies and supports kidney function. 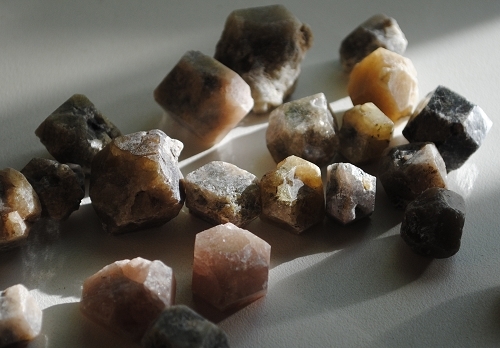 Grossular Garnet is also beneficial for the mucus membranes and skin.